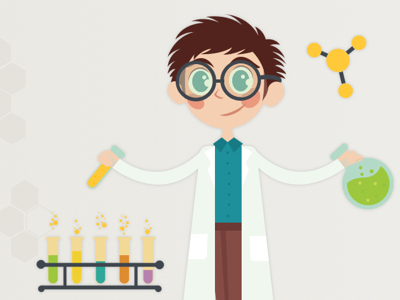 We are a highly focused research support oriented company established in 2009. We’re a company that supports the toughest challenges of pharmaceutical and clinical research. We do more than consulting — we aim to make a remarkable impact on pharmaceutical and clinical research services. To achieve this mission, we’ve built a strong foundation. Our experts supported by young energetic team, has proven to be responsive and scalable through exponential growth since our founding in 2009. Pharmazone’s Philosophy is always about maintaining high ethical standards, where business is objectively considered the most integral part. Business standards are uplifted with the most positive aspect along with the growing competition. For us, success is satisfactory approval of Clients towards gathering growth and knowledge. Along with unanimous research and development in Pharmaceuticals with collective interest, it’s our spontaneous will to audit the precise quality leading us to the peak we believe. 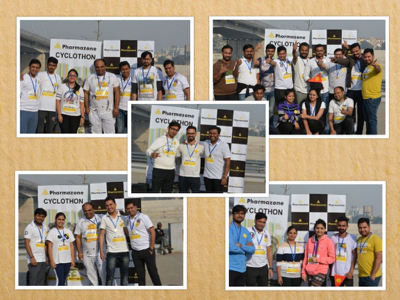 Each Member of Pharmazone takes pride in their Mantra of "Hard work", "Patience" and "Loyalty". Our Mission is to be the preferred and trusted clinical development partner for global pharmaceutical research and development and to create benchmarks and shape the future of the clinical research industry by ensuring quality, reliability, integrity, ethical values. Pharmazone is constantly consolidating the position as one of the best service provider for Pharmaceutical Research and Development to pharmaceutical companies worldwide. 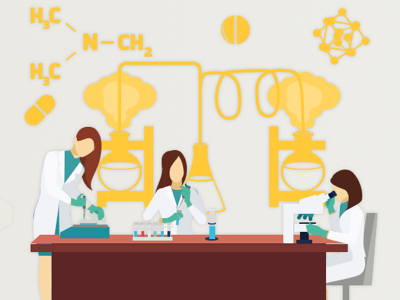 We are putting all efforts in order to fulfil our vision by sticking to set quality standards, by strengthening the long-term business connections and by establishing partnerships in the fields of pharmaceutical research and development. Together, we seek to follow the defined benchmark to make our clients content with our best team efforts. We perform our tasks as well as we can. We strive to do what we do in the best, most efficient and most time conserving way. Our passion for achieving better than the best emanates from our high inclination towards our field. From our passion, we drive our commitment toward our goals. Our knowledge, abilities, productivity and ingenuity enable us to be fast. We always strive for a fast, flexible, result oriented culture. With Clear objectives, self-managed feedback, control of resources, readiness to adapt future trends & needs and embracing lifelong learning, we achieve the high speed in our day to day operations. We believe in openness as it is the only way for enduring trust. Transparency implies openness which in turn displays integrity. We believe in the quality of being honest and having high moral principles. This inspires us to make more informed decision and benefits to build enduring trust among all stakeholders. We are constantly working on developing new ideas, method in order to improve our standards. The best way to attain exceptional results is by creating an atmosphere that motivates our employees to be innovative and creative. We are continuously learning from our experience and staving towards innovation. The steady growth of Pharmazone can be said is due to our self-made and down to earth top management & their faith in team spirit. Their cooperation and innovation make them stand out bright and shine. They guide us into the atmosphere of mutual respect and Trust. PharmaZone leadership team is dedicated to fostering a dynamic change-driven culture committed to meeting the needs of our customers. Our organizational structure is lean and flexible, driving quick and effective decision making and thus enabling growth of the company as well of each of our employee in best possible way. A clear, measurable and qualified goal has been set to accomplish. As founder and CEO, Tushar has led Pharmazone from being a small team led company to becoming the globally recognized brand among CRO industry and global generic pharmaceutical companies only in five years. Under his leadership today, Pharmazone stands as the most preferred research partner for Pharmaceutical companies for their generic drug development. Having post-graduation in the field of clinical research and vast working experience in CROs, Tushar has complete idea on operations of CROs and today stands at most contacted person by CROs in their QMS and Strategic Decision making. Having excellent management skill, Tushar led the Pharmazone to be recognized among 10 most promising clinical trial solution providers in India 2018 by Silicon India. 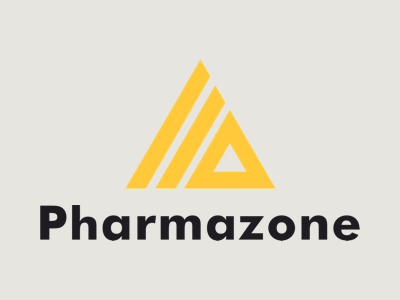 Today with his clear vision and well planned strategy, Pharmazone has expanded its operation in GMP services, Regulatory Affairs and Learning Management Services. As Director, Rakesh is spearheading the operations at Pharmazone and providing the excellent leadership to the entire team in the organization. 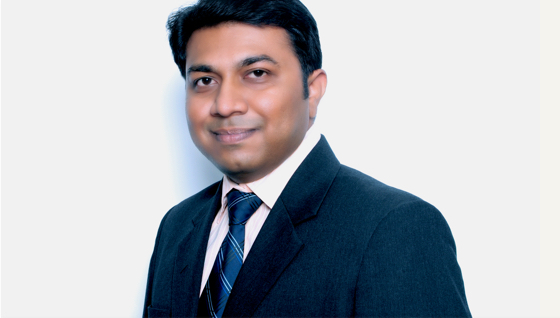 Associated ever since its inception; Rakesh has been one of the backbones of growth story of Pharmazone. He is having post-graduation in Pharma and excellent hands on Bioanalytical Phase thought are on ground operational experience. Throughout the entire journey of Pharmazone, Rakesh has played integral and key role in many critical and key projects which were led to the acme of success. With excellent track record and pleasant personality, Rakesh is very famous among many clients and various CROs across the globe. At Pharmazone, apart from leading the technical operations, Rakesh gets involved in strategy formulation, structure and process design, performance and synergy tracking, integration and selection of key personnel, other administrative and human resource processes. Vikas is the Associate Director of Concept and Consulting, where he is responsible for the Concept development and consulting functions within Pharmazone and for customers. With more than 10 years of industry exposure and a successful track record, he has extensive experience in driving and building infrastructure and capabilities in clinical research, as well as Operations. Vikas worked for IQVIA earlier, where he was involved in the Global projects delivery. Prior to that, he held various positions within Quality and Operations at Veeda Clinical Research, India. Vikas holds a Master of Pharmacy Degree, with an emphasis on Pharmacology and PMP certification from PMI, USA. Currently based in Ahmedabad, Vikas leads the company’s Concept and Consulting initiatives along with involvement in Audit and Training. Ms. Sachi Shah is the Deputy Manager – Business Development of Portfolio at Pharmazone since last 4 years. She joined this organization in 2014, Bio – Medical by profession and her energetic nature has made her back bone of this company. She has significant strategic and operational experience in business development roles. Sachi leads Business activities with special focus on emerging markets areas in USA, Europe, ASIA and ROW. She acts as a driving force for this company. She plays a vital role in building revenue, strengthening customer relationships and recognizing the customers that can benefit the most from Pharmazone’s offering. Her easy accessibility made it possible for many clients to approach her for every small matter. Mr. Dhaval Samani, is an erudite and incisive Learning & Development professional with 13+ years of cross functional performance based progression to higher roles of management in regulated but dynamic business environments and endeavors for playing a catalyst's role in 'Organizational Development’ interventions through use of apposite Data Analytics, Business Intelligence and Talent Capability development tools. He deep dived in this role at Pharmazone in 2018 and is responsible for meeting the dynamic Talent Capability Needs for: GXP, Regulatory Compliance & Continuous Professional Development. He is adept with latest trends in Learning & Development due to constantly evolving Technology, Social Media, Diversity (geographically distributed workforce) and proportion of Millennial in workforce and hence instigated the Learning and Development strategy which embraces e-Learning i.e. adaptive learning, Mobile/Micro Learning, Virtual Reality, Alignment with Business Objectives and Measurement of effectiveness analytically without compromising on critical to quality parameters. He has worked with Pharmaceuticals like Wockhardt, TEVA, INTAS, Veeda and for other MNC’s like Samsung (NIS-Sparta), OSIM and Reliance at various senior positions in the past. Vipin Sharma is the heading the GMP service, where he is responsible for the leading the audit-monitoring and set-up functions for Pharmaceutical / Biotech companies across the globe. 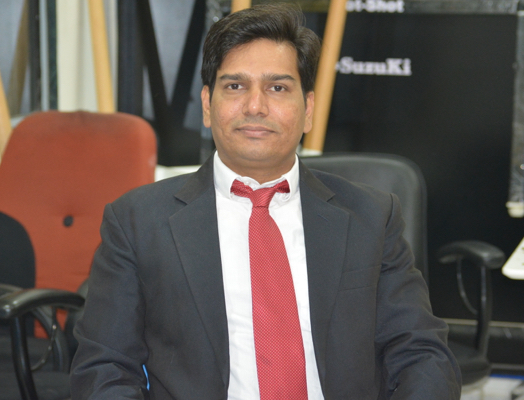 With more than 15 years of industry exposure and a successful track record, he has extensive experience in driving and building infrastructure and capabilities in API as well as Formulations Development. Vipin Sharma was previously associated with Intas, where he was in the Corporate Quality Assurance. Prior to that, he held various positions in Quality Assurance at Madgel, Macleods, Wochardt. Vipin Sharma holds a Master of Pharmacy Degree, with an emphasis on Pharmaceutical Technology. Currently based in Ahmedabad, Vipin Sharma leads the company’s GMP service line along with Set-up services. Pharmazone offers a host of opportunities for the best & brightest professionals across various functions. A fair chance to create a difference and to grow with the organization. 402, Shafalya Elegance, Opp- Sola Water Tank, Nr. Shakti Arcade, Science City Road, Sola, Ahmedabad -380060, Gujarat, India.